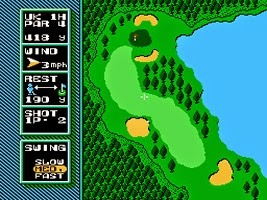 Back in the day, NES Open Tournament Golf was an innovator in the genre. It used many of the gameplay elements that modern golf games use today, such as the multiple click gauge system to set up shots. You had to factor in things like wind velocity, terrain, and club choice to make the best possible shot you could. 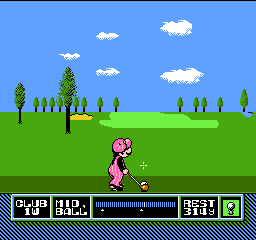 While not amazing nowadays, NES Open Tournament Golf is a highly functional if not bare bones take on what can be a really loved and really despised game at the same time. It all depends on how the golf gods treat you on the links. Featuring seven courses, the latter half of which implemented more zany Mario and Mushroom Kingdom themes and obstacles, Mario Golf: Toadstool Tour was a fantastic take on the sport with Mario and company. A course set around Peach's castle? Check. Chain Chomps as hazards? Check. Warp pipes to offer a shortcut to the hole? You got it. 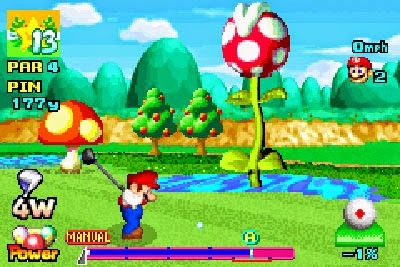 The basic fundamentals of Toadstool Tour worked well, and the options included meant players would be golfing for dozens upon dozens of hours. 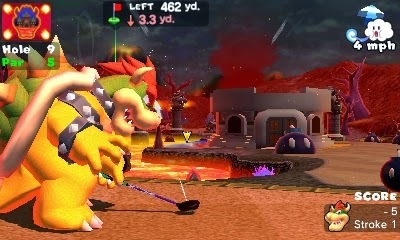 Some little annoyances get in the way, such as questionable camera decisions, where characters like Yoshi would have their snouts blocking the hole during the already tricky short putts, and a weak single player offering meant solo golfers wouldn't enjoy the game as much as with friends. That said, Toadstool Tour was a tour de force for arcade golf and would lay the foundation for future sequels. If you're looking for an even more packed and content-rich golf game, look no further than the Game Boy Color's version of Mario Golf. It put players in the shoes of one of four custom characters, learning the ins and outs of the glorious game of golf. Players participated in tournaments and match play contests in order to earn experience points to level up their characters, granting longer drives and more intricate swinging types. 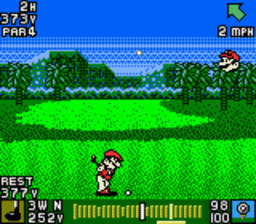 Mario Golf on the Game Boy Color offered four unique 18-hole courses, and an abundance of unlockables such as new modes and mini-games to test out one's skills. What it lacks in presentation compared to the other games on this list, Mario Golf on Game Boy Color more than makes up for in a divine amount of gameplay hooks, challenge, and fun. Take all that we loved about Mario Golf on the Game Boy Color and make it look much better, and you have Mario Golf: Advance Tour for the Game Boy Advance. There were tons of questing (yes, quests in a golf game) to take part in, matches to complete, tournaments to reach the top in, and experience to earn from all of them, used to level up your character in the process. This was the all the while teaching players all about the basics of golf, such as taking in the terrain, lie, and wind speed into consideration, as well as adding impact to shots, like topspin and backspin. 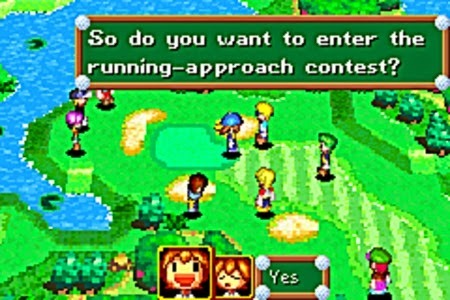 Throw in a charming aesthetic that was heavily reminiscent of Golden Sun (it was by the same developer using the same graphical engine, after all), and you have a top-tier handheld golfing experience. 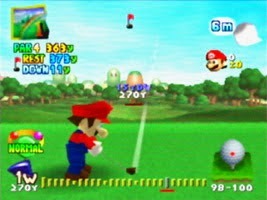 If you're looking for a golf game with plenty of content, the original Mario Golf on the Nintendo 64 shines brightly. It introduced concepts that would be used in most future iterations of the series, including standbys like Tournament mode, a robust multiplayer mode, and Ring Shot. 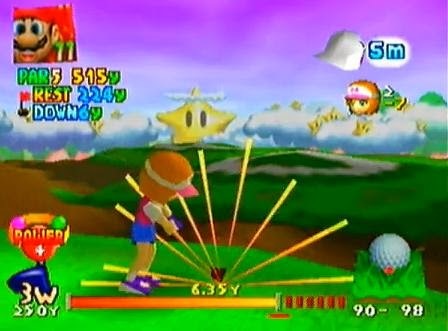 Astonishingly enough, the Nintendo 64's Mario Golf was the only installment of the series to feature mini-golf of any type. 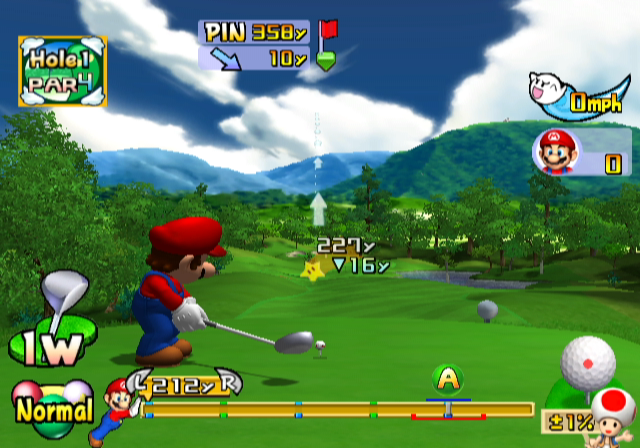 Anyhow, Mario Golf came with six individual courses that didn't go absolutely crazy with the Mario motif, though certain courses did go outside typical design. We're looking at you, golf green in the center of a deep canyon and that course elevated upwards into the sky (i.e. Boo Valley). Through Match Play, Ring Shot, and collecting birdie badges, new characters were unlocked, and you could use the Transfer Pak to bring your Game Boy Color custom golfer to the N64 version. It all adds up to a golf game that we still treasure and hold great nostalgia to. 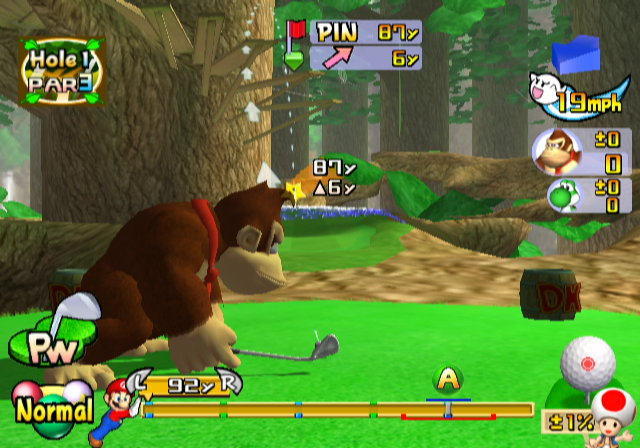 It helps that Mario Golf on the N64 has the gameplay and features to back it all up. 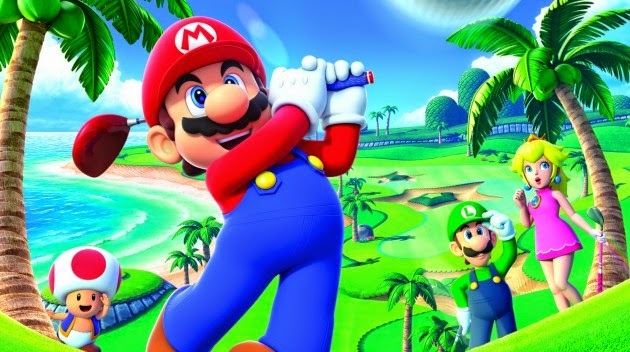 After a long hiatus of ten years, the Mario Golf franchise made its glorious return! The RPG mode of past Mario Golf games might have been absent in this 3DS iteration, but Castle Club was a nice alternative, offering ways to have your Mii become an all-star through online regional and worldwide tournaments, practicing the fundamentals of your golf game through specialized modes, and unlocking new costumes from costume challenges and completing various in-game tasks like getting three hole-in-ones. 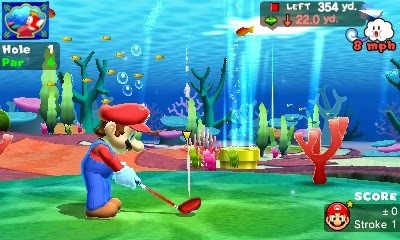 Mario Golf: World Tour came packed with three traditional 18-hole courses (and one 18-hole course that challenged players with its all par 3 holes), but what far and away made the package wonderfully worthwhile was the addition of six Mushroom Kingdom-inspired courses, such as teeing off in Peach Gardens or even golfing underwater in Cheep Cheep Lagoon. The inclusion of online play and DLC meant the experience lasted a long time, and weekly tournaments were an excellent reason to keep coming back for more. It's for these reasons why our favorite Mario Golf happens to be the Nintendo 3DS's World Tour.